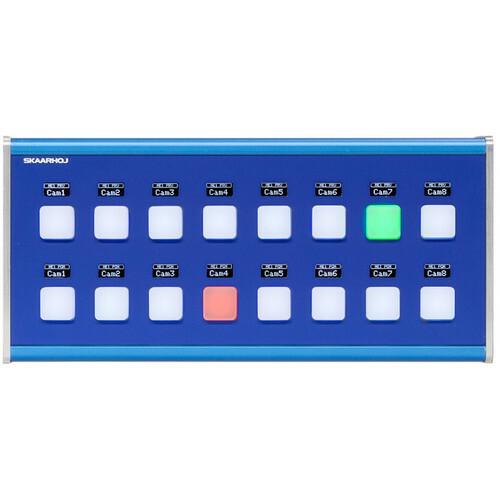 The SKAARHOJ MC4 Master is a programmable control surface for use with broadcast video hardware, providing tactile control over essential functions. As a "Master" unit this MC4 has ports for 12V power, Ethernet, and USB connectivity on the right-hand side. It serves as the first link in the chain, connecting to Module units using the DB-9 port on the left-hand side. More Module units can be connected to expand the control surface. A short DB-9 cable can be used to connect Module units for a second operator. 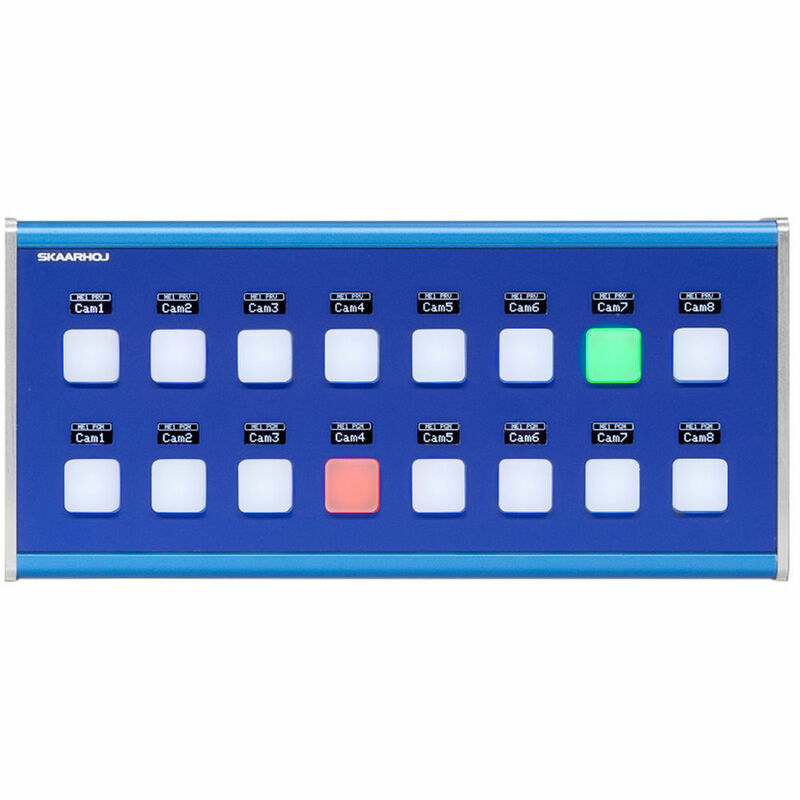 Using the SKAARHOJ-developed open-source UniSketch OS, the end-user can program the 16 RGB soft buttons on the MC4 to control a variety of devices, from switchers and recorders to PTZ cameras and playback decks. Each soft button features an individual scribble strip which displays functionality. Individual button functions can be changed depending on the application, so having a real-time method for monitoring functionality is essential. Box Dimensions (LxWxH) 11.7 x 10.1 x 7.9"